Once you beat a puzzle, you move on, right? Until you forget its solution, what else is there to do? Unlike problems of, say, strategy, diplomacy, or resource management, puzzles are not dynamic. The designer has crafted a solution, and the player must simply work towards it. After figuring it out, why give a puzzle a second look? Zachtronics Industries’ SpaceChem and Double Fine’s Stacking both address this question. 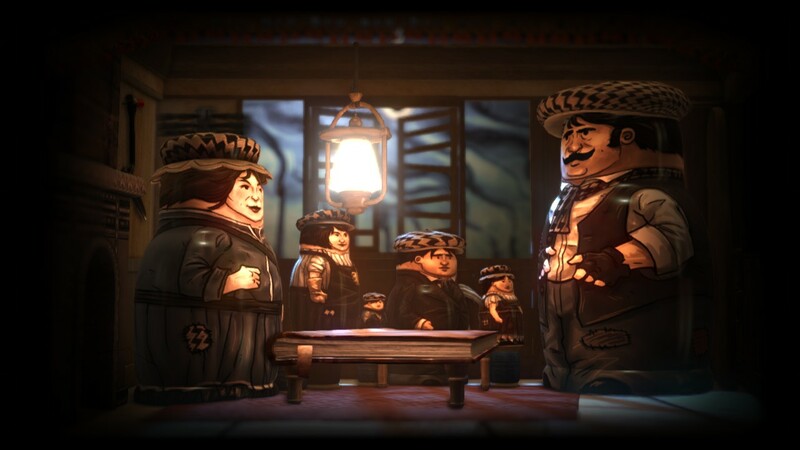 Each game encourages players to revisit puzzles, even immediately after beating them. Let’s look at SpaceChem first. The game provides feedback histograms charting the player’s efficiency compared to everyone else who’s ever beaten the puzzle. Three vectors are considered: cycles elapsed, reactors used, and symbols used. As the designer himself has noted, “players who optimize for one criterion often do poorly in the others.” Because each is displayed separately, not as an aggregate score or grade, the odds of an encouraging result are higher. For example, your solution may have been inefficient in the elapsed cycles category, but if you used an unusually low number of reactors, you still have something to be proud of. You might then want to improve on an area where you did poorly, or further refine a point where you excelled. 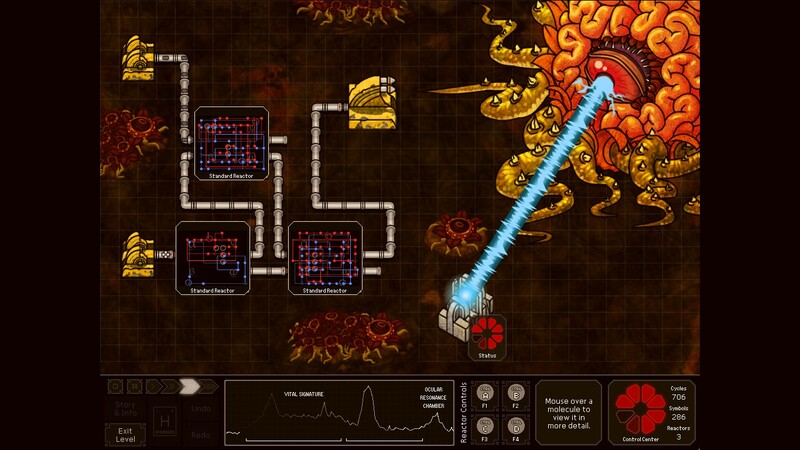 While SpaceChem is one of the most intellectually taxing games I’ve ever played, it was ultimately never frustrating. This is because its system allows for a remarkable variety of solutions; even if your high-level approach is poor, as mine often was, you can almost always make it work by pouring enough thought and effort into the details. If you’re determined to solve a puzzle within certain constraints, you’ll likely be able to manage it– eventually. A more punishing, less flexible system would undermine players’ confidence and discourage them from revisiting puzzles. Stacking takes a different approach. Each of its puzzles has a number of quite specific solutions. Whenever you approach an area with a puzzle, any solutions you’ve already found are listed by name, while others are shown by question marks; this means you know exactly how many remain at any given time. This information is accessible from the pause menu as well, making it easy to check your progress anywhere. Unusually for an adventure game, you can try puzzles again the instant you beat them, and may do so as often as you want thereafter. The game provides many rewards for discovering new solutions. If you beat a puzzle in every possible way, you can access a unique associated doll, often with a fun ability. Your hobo friend Levi records your triumphs with murals and statues, providing a conventional “trophy room”. An overall completion percentage is shown whenever you load the game; this increases with every different solution you find, whether or not you’ve beaten the puzzle before. 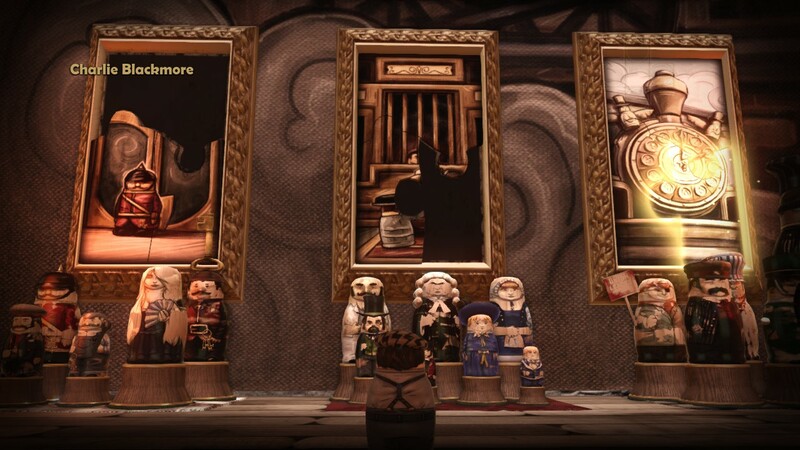 But for me, the strongest motivation was perhaps the solutions themselves: even beyond the basic enjoyment of a puzzle solved, the delightful cutscenes were always worth the effort. A final note: neither game forces you to revisit puzzles. 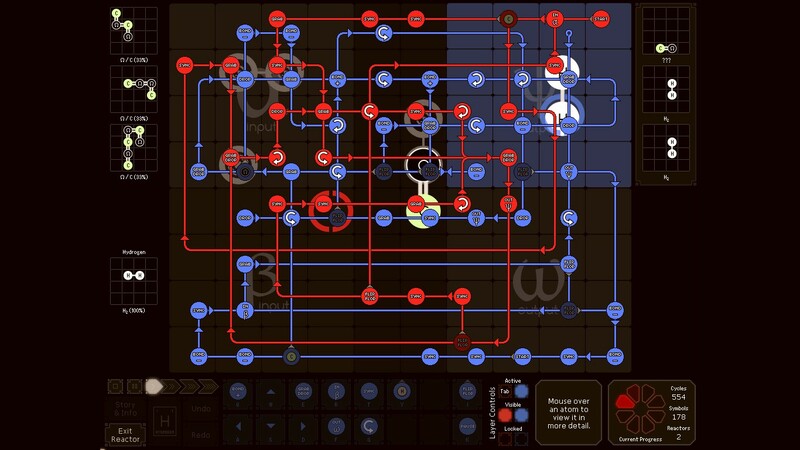 You aren’t required to attain a certain level of efficiency in SpaceChem, and you only have to beat each puzzle in Stacking once. But both titles provide inducements that keep luring the player back. In SpaceChem, it’s partly the histograms with multiple scores, and partly the system’s open-endedness. These encourage improvement without providing an impossibly high benchmark, and give the player eternal hope. The incentives in Stacking are more conventional and blatant, but no less effective. It’s interesting that Double Fine chose to focus so heavily on that aspect; they could easily have included multiple solutions without highlighting and rewarding them the way they did. 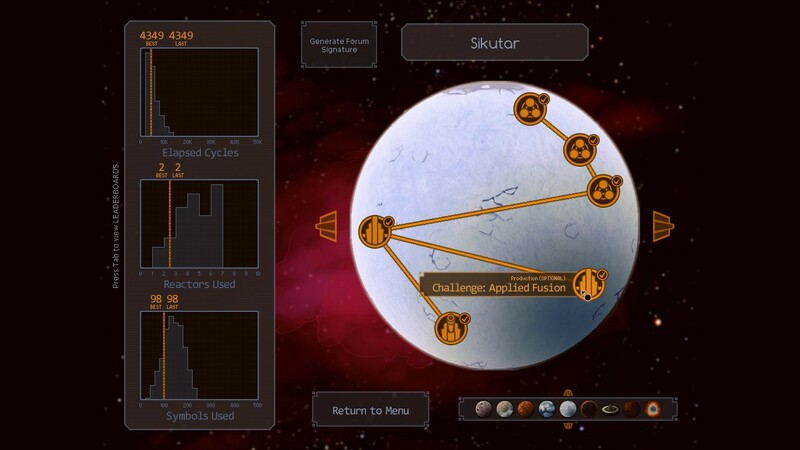 Likewise, while the system of SpaceChem inherently allows for a wide variety of solutions, the method of feedback represents a creative and active effort on the part of Zachtronics to promote repeatability. 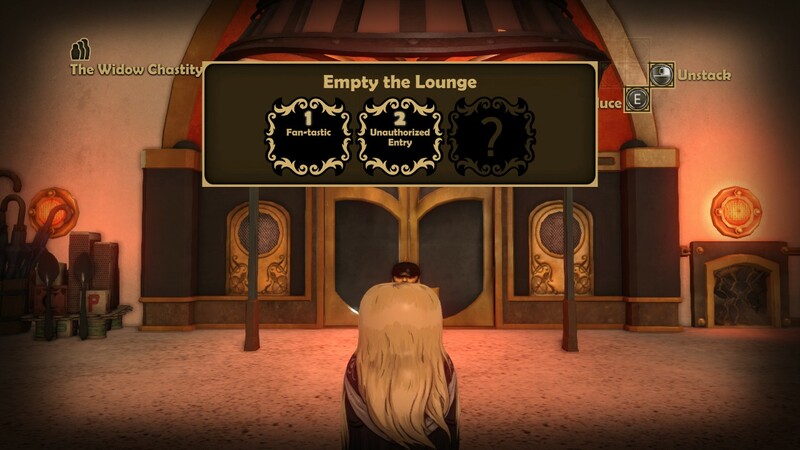 Both titles also share the critical feature of allowing the player to return to any puzzle as soon as it’s beaten and explore new solutions right away. For designers looking to add replay value, these games offer bold and unusual examples from which to draw.